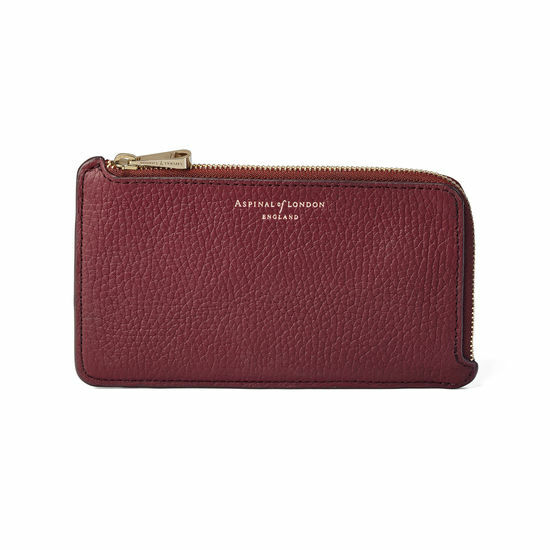 With a wealth of practical features in an enduring design, our Large Zipped Coin Purse is the superior choice for slipping in your handbag. 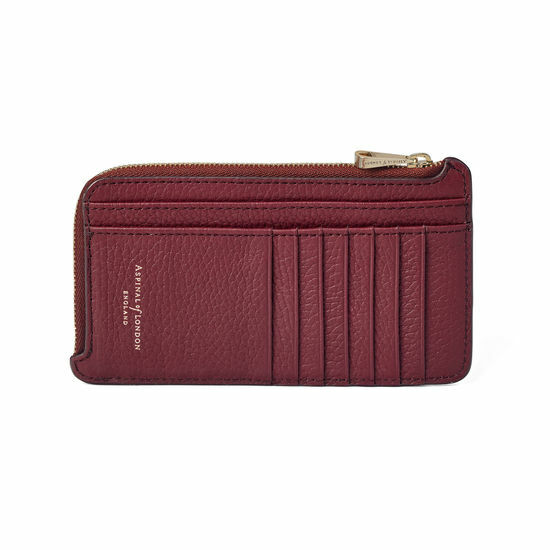 Hand-crafted from the finest Italian calf leather in a textured pebble finish and a classic bordeaux hue, the exterior has seven useful credit card slots and two full-length compartments, perfect for notes or receipts. The fine-quality zip with signature Aspinal zip pull opens to reveal one large coin section, lined in shimmering grosgrain. Add up to four initials to the top centre to personalise your purse and deliver a distinctive touch of luxury.